Tunisia, 2008, 93 minutes, Colour. The Other Half of the Sky is a story about contemporary Tunisia. It focuses on two fraternal twins and their lawyer father. He is still mourning his wife’s death in childbirth – and had sent the children to an orphanage but later brought them home, will tell them nothing about their mother and his relationship with her, resenting them and punishing them. The daughter is a tour guide and an archaeology student, encounters a man on a tour who is infatuated with her and proposes. Her father is suspicious. Meanwhile the brother is a designer, supportive of his sister, who gets a scholarship to study overseas. The film is interesting in its presentation of women in a Muslim society, presumptions about the superiority of men – especially coming to a head in terms of inheritance law and the twins inheriting their mother’s house, the preference being given to the son. The film is strong in its depiction of its characters, especially the young woman, Selima, who is strong-minded and determined but obsessed with learning about her mother. 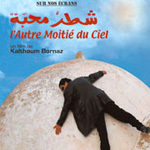 The film has a sensitivity towards its characters, has a good sense of atmosphere for Tunis and Tunisia. 1.A film of Tunisia? The characters, the city? The Muslim traditions? Culture? 2.The city itself, the ancient Roman ruins, Selima as a tour guide? Archaeologist? Diving underwater to retrieve relics? The world of law, the world of society? The images of the city of Tunis? 3.The focus on the party, the twins, their bonding? The party and the music, their father’s disdain? Their relationship with their father? The tensions in the house? Wanting to know more about their mother, Selima and her search of the house? Questioning? Relatives, friends? The brother returning from Australia and trying to find out more information? The hold that this quest had on Selima? 4.Selima and her work, her study, the young man from Egypt, his attentions, their going out, his family? The possibility of marriage? Her father’s disapproval? The man’s gifts? His having to leave, Selima’s suspicions? Her breaking with him? His perseverance? His charm? Winning her over? 5.Selim, his work, design, support of his sister? Reactions to his father, his father’s mockery? The scholarship, preparing to overseas, his father’s reaction? His success? The return, the house, his selling it and the conflict? 6.The father, his memories of his wife, the gradual revelation of the story, their love, the childbirth and her death? His reaction to the children, his making decisions about life and death? The orphanage? Taking them home, resisting? His own life, the woman friend and the children’s reaction? His going to his wife’s grave? His friends and their advice? The brother-in-law? The accident and his going to hospital, the treatment, the reaction of his children, going home, incapacitated, the build-up to the clash? His death? The funeral and the return? 7.The family characters, the friends? A rounded picture of a Tunisian family? Their problems? Universal issues?